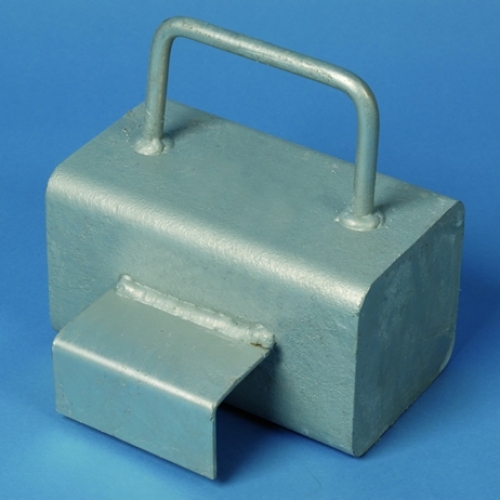 19 Kg Counterweight for anchoring freestanding goals, supplied with wire and snap hook. Hooks over back bar on steel goals or by wire and snap hook on aluminium goals. Counterweights are used on hard surfaces such as school halls and astro turf, for grass, earthworm screws maybe a more suitable and cheaper option. For quantity required see documentation below. For quantities greater than 1 use the "No. of weights" box and leave the Quantity box at 1.